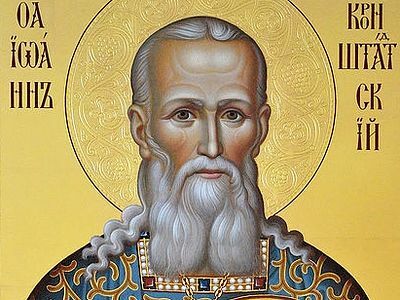 Thanks to Russian businessman and benefactor Peter Vyunov, three identical monuments dedicated to the great St. John of Kronstadt will soon be erected in three separate countries. According to the philanthropist, the monuments should unite the Orthodox communities of Russia, the United States, and Germany, where they are to be placed, reports Orthodox journal Foma. The artist for the monuments will be the famous Russian sculptor Salavat Scherbakov, who also created the monument to St. Vladimir the Great on Borovitskaya Square and a monument to soldiers on Poklonnaya Hill in Moscow. In Russia, a 13-ft. bronze statue will be installed in the park area around the Church of St. Xenia of St. Petersburg in Voronezh, taking a space next to the Chapel of St. John of Kronstadt on the territory of the church. The event is scheduled for September, when the restoration of the Church of St. Xenia will be completed. It is also planned to install a copy of the Voronezh monument at Holy Trinity Monastery in Jordanville, New York, which for many years has served as the spiritual and educational center of the Russian Orthodox Church Outside of Russia. 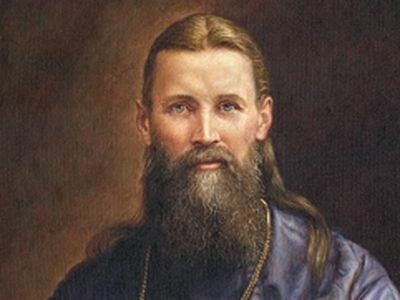 Additionally, an identical monument will appear on the territory of the Church of St. John of Kronstadt of the Moscow Patriarchate in Hamburg, Germany. According to the initiators of the project, the St. John monuments in Russia, the U.S., and Germany will symbolize the unity and solidarity of the Orthodox communities in the three countries. 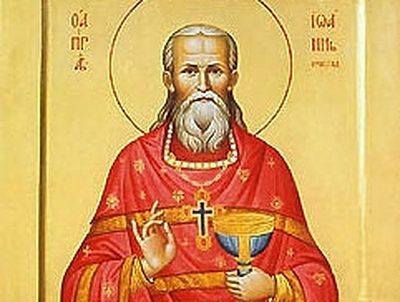 Philanthropist and businessman Peter Vyunov is a member of the Board of Trustees of the Trinity-St. Sergius “Common Cause” and the “Protection of the Most Holy Theotokos” foundations, as well as the museum at St. John’s apartment in St. Petersburg. The total cost of the project including transportation and installation of all monuments will be about $975,000 (60 million rubles). Hallo, guten Morgen. Jubeln! Geliebte! Why are does the Russkie Church have this odd practice of erecting statues; so very Latin of them. Very strange indeed. Jubeln!